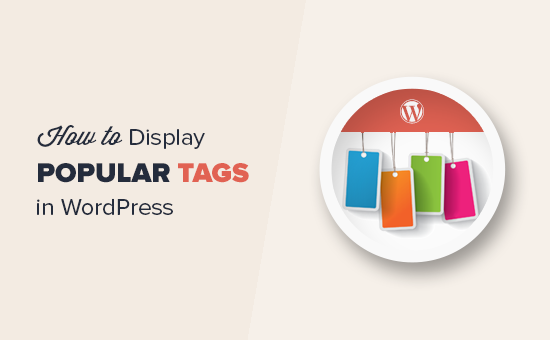 This code simply generates the top 10 tags from your website in a cloud with number of posts in each tag. 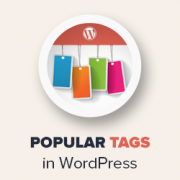 After that it creates a shortcode wpb_popular_tags and enables shortcode in text widget. The manual code doesn’t work for me. Is something by chance deprecated? 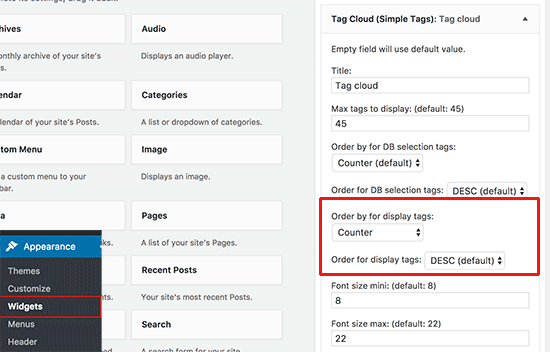 How to display most popular tags per period (example last week, monat, year)? 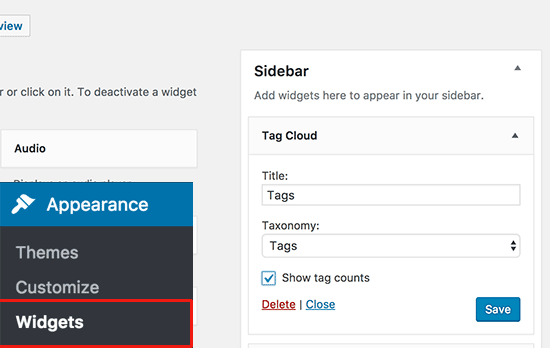 Hi, nice tutorial but the manually Code doesn’t work, because the links in cloud are all broken and only link to page where the shortcode is embedded. Hello Sir Can you Give Me Wpbeginner Theme Because I love this Theme.